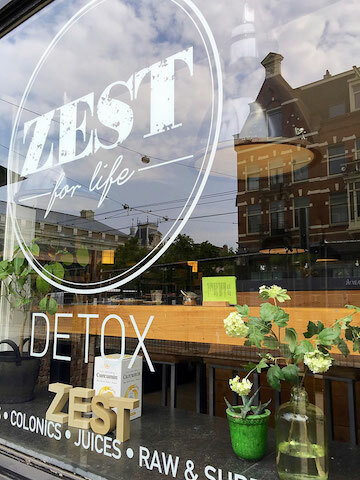 Zest for Life is an awesomely hip little spot in Amsterdam that operates a raw food cafe, juice bar and health spa. It's an all-in-one one stop shop for everything healthy and awesome. This article brought to you by Zest For Life who provided complimentary food. Affiliate links included. See disclosure for more. The classically beautiful exterior opens up to a beautiful, peaceful, and inviting ambience inside filled with calming wood tones, funky industrial steel, and beautiful fresh flower displays. Dine at the front bar and people watch out the window, head down the stairs into the cozy dining room area and watch the chef create the living masterpieces, or mosey outside and eat your food on the beautiful patio. Upstairs houses their health and beauty salon where they offer massages and a range of other detox health and beauty spa services. 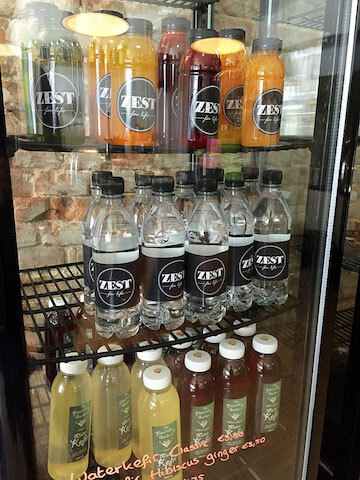 Zest for Life is a beautiful playground of a juice bar. 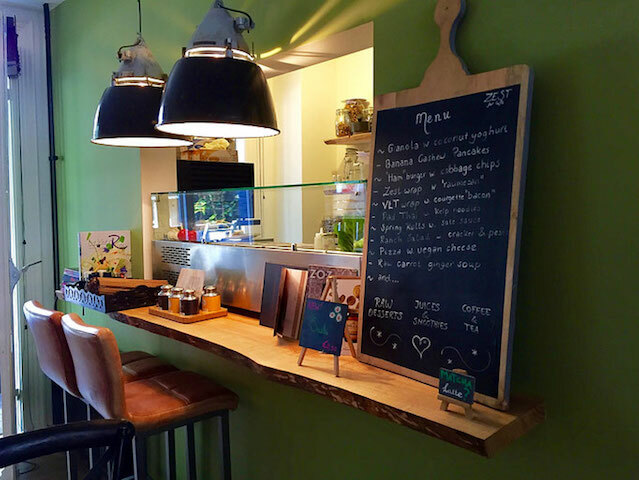 Fresh fruits and veggies adorn the front bar and peek out from baskets on the floor. Wafts of fresh fruit notes swirl around the room. They make a bunch of fresh smoothies like Green Goddess, Berry Blaze, Chocoholic, Protein Powder and more. 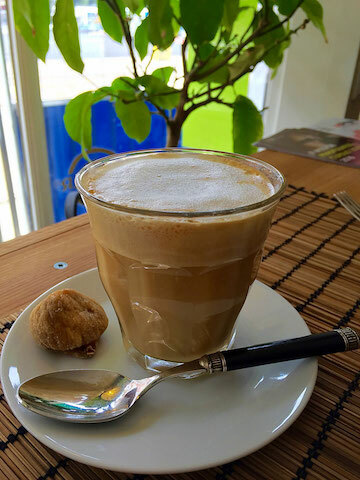 The super nice staff are happy to make original concoctions as well. I was lucky enough to try a sampling of a Protein Smoothie made with beet which was a surprisingly yummy and creamy mixture that also turned out to be a beautiful shade of pink! 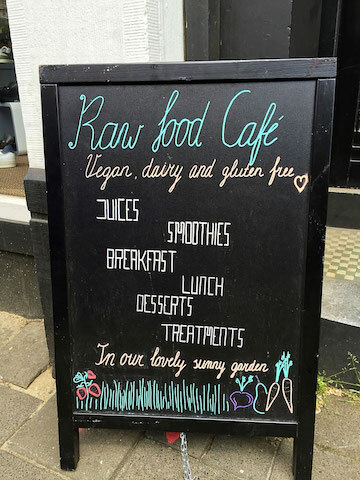 Also blending up fresh juices like Green Supreme, Turn up the Beets, Citrus, Royal Highness and more, plus the ever-popular wheatgrass shot. 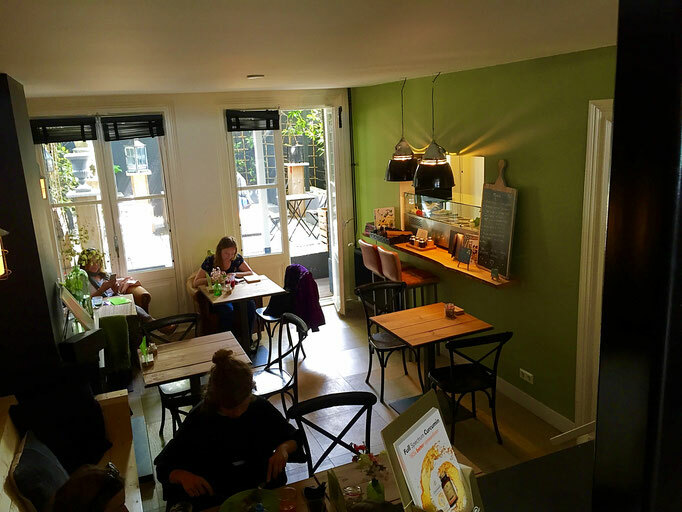 There is a full coffee bar which does a delicious almond milk latte I highly recommend, and they also sell bottled versions of all their juices, bottled water, and sparkling flavored water kefir from The Nourishing Garden. 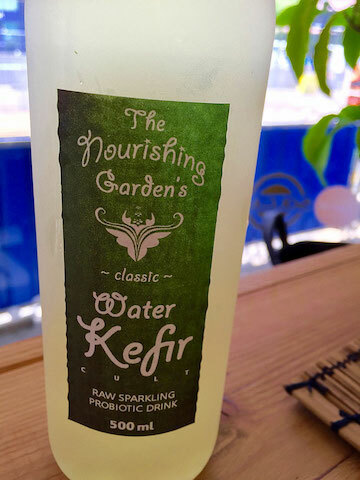 Kefir, being so high in probiotics, is the perfect accompaniment to the healthy and detoxifying foods. A real one-two punch to get your body and all its good bacteria in check! 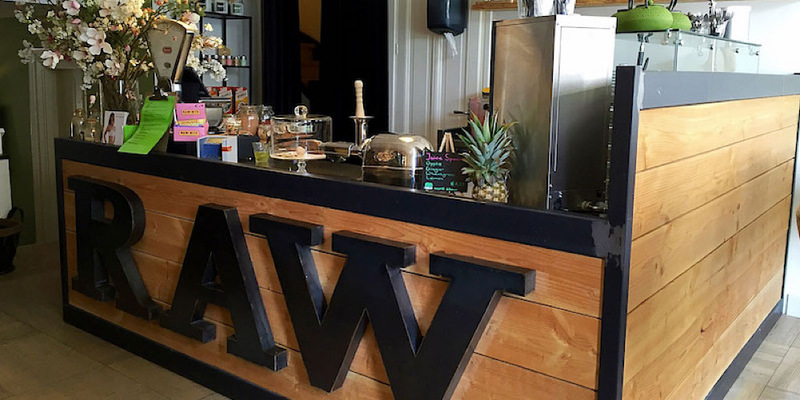 Their menu is innovative and dynamic. 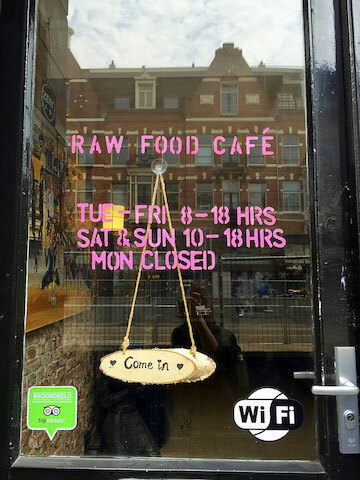 They have the raw comfort food basics down, like burgers, pizza, BLT wraps and soups. 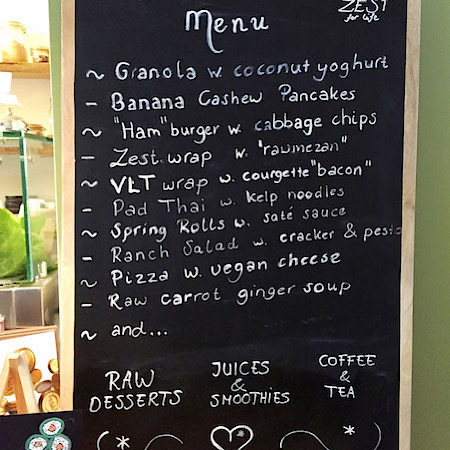 Also a granola, banana cashew pancakes, pad thai, spring rolls, and salads. And you can catch new specials and treats all the time. I spent forever deciding what to eat because it all looked amazing. But I had to go with the burger, right? C'mon. So I got the "ham"burger. It was made of walnuts, flaxseed, tomatoes, shiitake mushrooms and herbs and served on a garlic bun made of almond, coconut, and psyllium husks, with 2 savory cheesy sauces, lettuce and tomato, and zesty sauerkraut! It looked like a work of art, a perfectly balanced little edible Jenga sculpture. And unbelievably delicious. The sweet, sour and savory flavors all mingled and danced with the crisp and chewy textures. And yes, this one will get all over your hands and face and the plate. Well, if you're doing it right, that is. 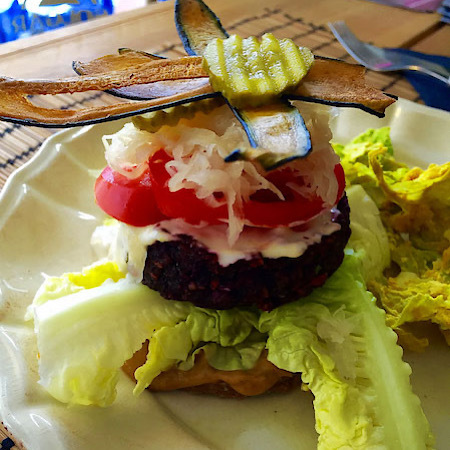 The hamburger is also served with raw cabbage chips. What, you ask? That's right, cabbage! Delicious dried cabbage leaves coated with the perfect cheesy coating turns these into the most amazing chips in the world. Eat them all. The dessert part is the best. 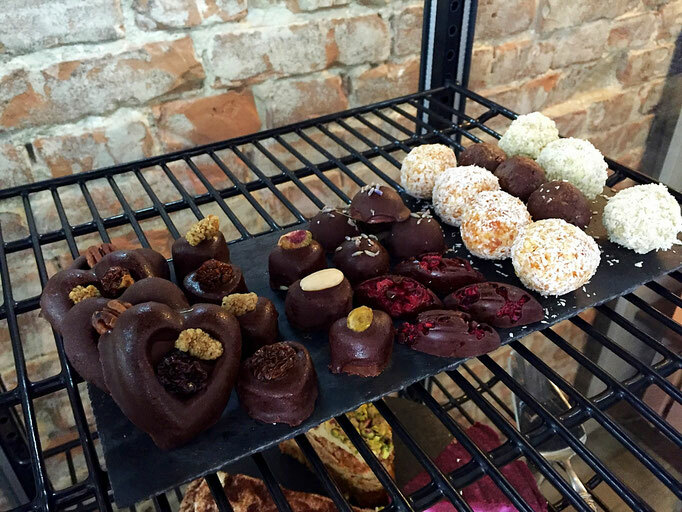 Zest for Life rules at desserts. Check out their monster display of all their delicious creations right when you walk in the front door. They'll be showing off treats like coconut balls, chocolate cakes, bars, cheesecakes and pies! 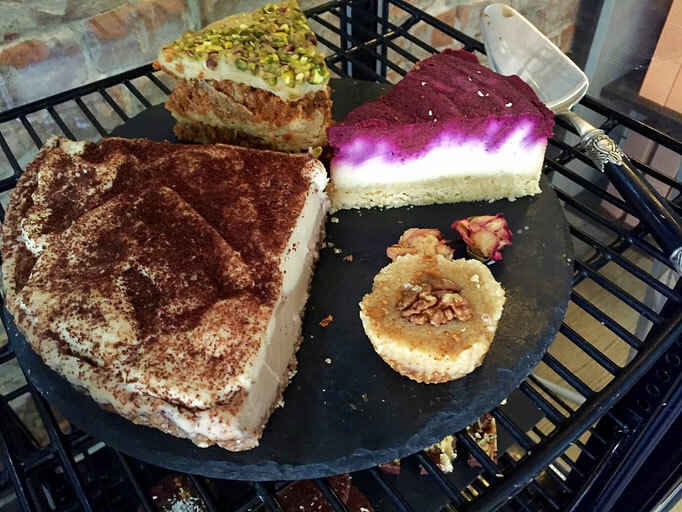 Always on the lookout for the most unique vegan foods, not to even mention the most unique raw vegan foods, I simply had to try the key lime pie. This is a classic American dish that reminds me of bright sun and warm beaches stretching along the Florida keys. Cake is nothing if not insanely decadent, so my taste buds were dying to try a totally raw version of key lime pie. And folks, this one did not disappoint. At first bite, the fresh zest of the key lime flavor tantalizes and soon after the thick, fluffy, sweet cheesecake texture sets your tongue on cloud nine. The sweet nutty base layer grounds and complements the mint green deliciousness. It is thick, rich, velvety and sheer perfection. On Point. 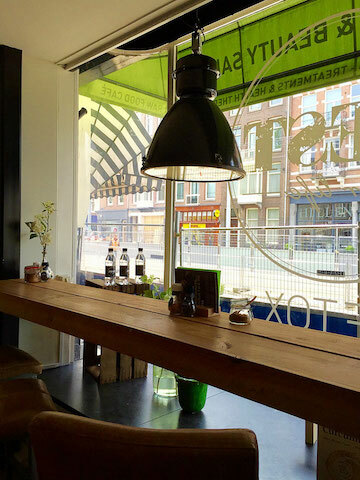 Definitely go visit Zest for Life at Van Baerlestraat 45 and try all their delicious foods.